Equi-Spot® Spot-On Fly Control contains 45% Permethrin to effectively protect your horses. This treatment stays on for longer than sprays. There are three defense zones that need to be covered to effectively apply this fly control treatment. The chest, head and neck are defense zone 1, the sides of your horse's body are defense zone 2, and the legs or your horse are defense zone 3 (video below). Note: Safe enough for horses as young as 12 weeks. One easy to apply 10 mL applicator lasts for 14 days. One 3-pk lasts 6 weeks. I have used this product for several years & really like it***Easy to use***Highly recommend this product. I put this on several horses and all of them broke out in large red welts, eventually loosing hair , it took months to completely recover from it. So far, so good. Instant relief from various varieties. Been on a week now and I can see some little black flies underneath her., but nothing like prior to use. The season is late this year, so we'll see how it works when the mosquitos really come out! I'll keep using it for now. "Did not work for my horses"
I have reread the positive reviews for my horses and I wish it had worked on mine. Sadly, it did not. "Equi Spot on for horses"
Have used this product for years and it does WORK! I can tell by the horses tails not swatting continuously and their peaceful attitude in the pasture. In the hot stormy south, one/double application lasts 3 to 4 weeks. My horses are large, and by double I mean, I use one tube on each side of the horse. No side effects, great price and no need for sprays. I have 6 horses, and I camp with them in the worst time of the summer. When all the bugs are out. This makes a BIG difference in my horses comfort. Their tails stop swishing, and they are more relaxed after using it for trail riding. I would recommend this for anyone trailing with young kids as I do. I am very pleased with this product. Keeps ticks, horse flies and deer flies off my horses. They do not have any bite marks from mosquitos either. Will be buying again. It did not work at all on my horse. I had to spray him the very next day. "my mare has an allergy to the ""no-see-um gnat"" and I have tried many things with this every summer she is tore up. I tried this product this year and the amount of irritation she experienced was greatly reduced! This is a great product for my mare "
Product is very hard to apply, as directed. 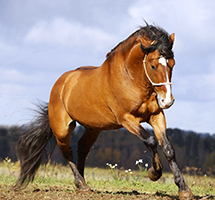 Product is oily liquid, which you must drop on horse's spine and back of legs in specified amounts. VERY HARD TO DO! Manufacturer should revise product to permit better control during product application. This product is great for ticks and my animals have never had a reaction. We have horses in a heavily wooded tick infected area and this product kills them dead and keeps them off. this productis not good. i put on my horses neck first, then i put on his back like the directions say to do and with in a day it had started burning his flesh off, it was so bad his hid, tissue,was coming off his back. had to get vet out. it took 3 months to heal. Last summer we had a bunch of horses testing positive for Lyme disease in our area including one of my own. I started using Equi-Spot after finding 7 or 8 ticks on my gelding one evening, and never found another tick on any of mine after that day! No reactions to the product and a it has a pleasant citronella smell. I will use it all tick season every year!! !